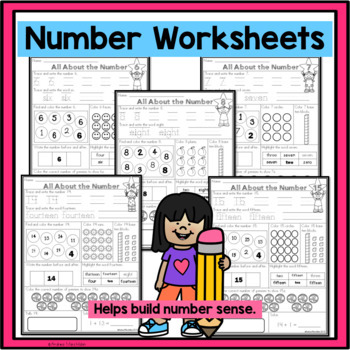 Looking for a fun way to build number sense in your classroom?! 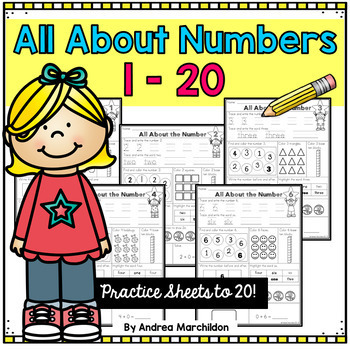 These Number Worksheets will help your kindergarten and first grade students learn and master numbers 1 - 20. Each page is set up the same way so students know what is expected of them. 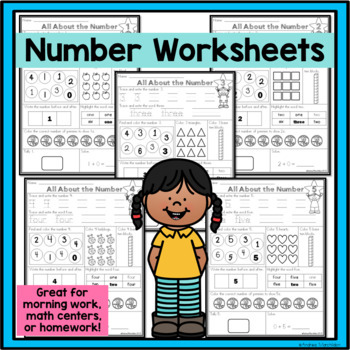 These printables are great for morning work, math center time, or even homework! 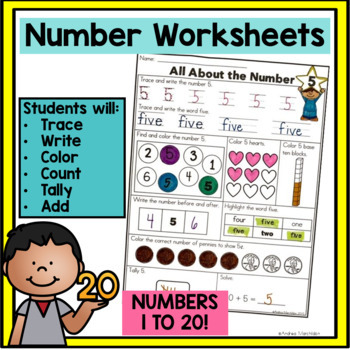 You can create a number booklet for students or even place them in your math centers as a write and wipe center using a dry-erase marker. Just print on cardstock and laminate for a new center! Students will complete 10 different activities pertaining to a specific number. Please check out the preview to get a closer look! Please remember to add feedback so you can earn TpT credits!